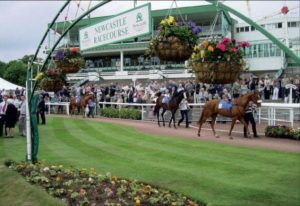 In the 32RedSport.com Handicap (5.45) at Newcastle on Wednesday, Windsor Cross has been raised just 3lb for winning a 0-95 handicap over course and distance earlier this month and looks to have been found a decent opportunity to follow up. Richard Fahey’s 3-year-old stayed on strongly to record his second course and distance win last time and, dropping back into 0-80 company, against three maidens and Hard Graft, whose sole win came on the Fibresand at Southwell, he must surely be the one to beat. Richard Fahey complicates matters by also saddling Ventura Gold, who was thought good enough to contest a valuable sales race at the Curragh last September, but the Red Jazz gelding has only troubled the judge once in seven starts and makes his Tapeta debut. Windsor Cross looks the pick of the pair on jockey bookings, in any case, and can win despite conceding 6lb and upwards all round. Jack The Truth didn’t see a racecourse until last February but, after a couple of ‘sighters’ on Polytrack and Tapeta, has won his last two starts on Fibresand in convincing style and looks a decent bet to complete a hat-trick in the Betway Handicap (2.20) at Southwell on Tuesday. The son of high-class sprinter Dandy Man was ridden clear in the closing stages to win by 4 lengths on his handicap debut over 5 furlongs at the Nottinghamshire track last week and a 6lb penalty for that success may not be enough to prevent him from winning again. Connections are clearly keen to strike again while the iron is hot and his previous maiden win, over course and distance, augurs well for his return to 6 furlongs. Winning jockey Fran Berry – who’s 2-7 for the yard on the all-weather – once again takes the ride.